This home is located on the edge of the west side where it meets the beautiful open greenbelt space. The sunsets here are the best in the county. 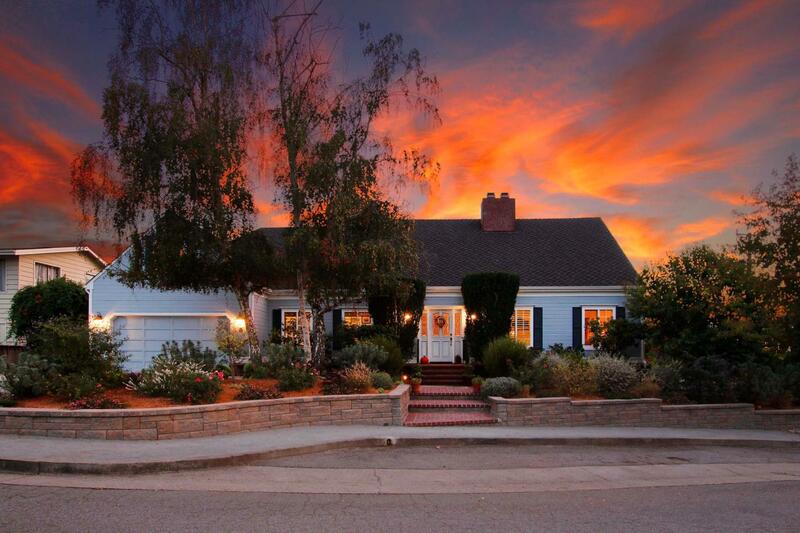 In addition, it is located in a prime location not far from Westlake School and the beautiful campus of UCSC. Just down the road are many new wineries, breweries, restaurants, shops and local businesses. The beaches and Westcliff Drive are a short bike ride away. This is a classic family type home with a spacious living room, dining room, family room and a great/bonus/playroom. There are two ground floor bedrooms and a full bath and 3 bedrooms upstairs including a lovely master bedroom and bath. Situated on a quiet cul de sac, it's perfect for kids to ride bikes and play. Homes such as this rarely come on the market. This home has been lovingly maintained and cared for for the past 26 years. The presidential 50 year roof was done a year ago. You can't beat this location! This is a must see!